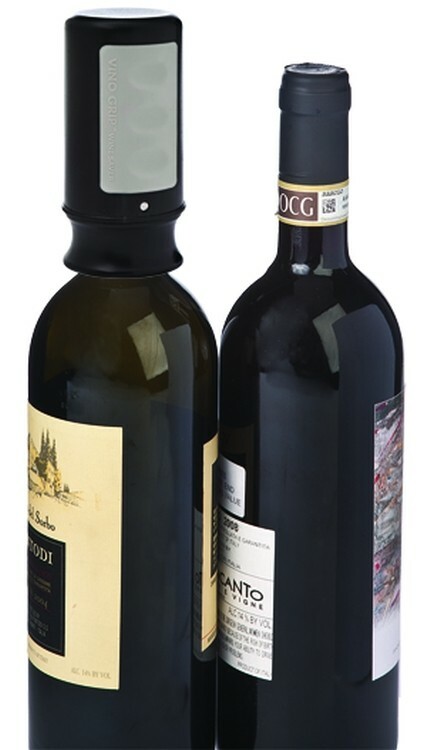 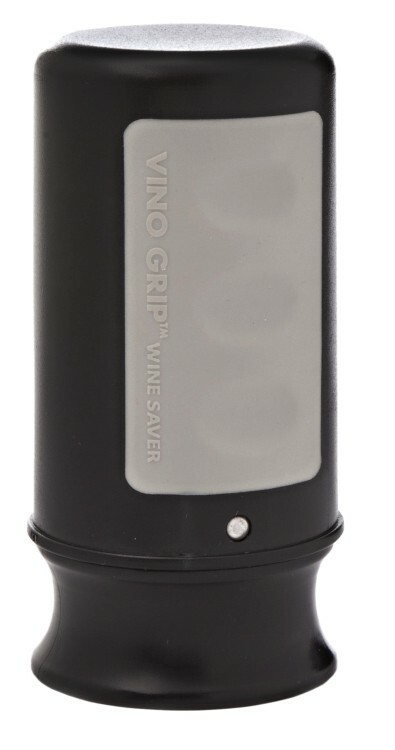 The VinoGrip™ has a built-in powerful vacuum pump and bottle stopper to preserve and seal a bottle of unfinished wine. The VinoGrip™ has a rubberized soft panel on the front side with finger grooves to give you a firm grip when pumping. 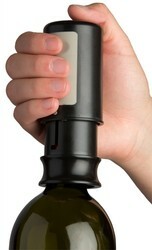 Low profile fits in refrigerator easily.